Opening in the center of the international refugee crisis, this playable story places the interactor in the position of the refugee. As the tale opens, an explosion sends the interactor from the comfort of a ship into the salt immortal sea. Rescued by a mysterious boat the player encounters eight other passengers, drawn from the present and the ancient past. However, one of these passengers has angered the gods, and unless the player can discover which, all will face their wrath. However, finding that secret is no easy task. Each passenger harbors secrets that pit them against each other in an allegory of contemporary global crisis. Choosing from one of nine iconic positions in the refugee crisis, the interactor can explore tales of misfortune while trying to keep the shipmates in balance by collecting and circulating secrets. In this tale, we recast figures in the contemporary refugee crisis against the mythos of the quintessential traveler, Odysseus, for the refugee likewise travels cursed, unable to return home. It is a tale of the eternal return to proxy wars and the challenge of achieving some semblance of world peace. The story of the refugee is a harrowing reality reimagined here in terms of sirens and cyclops, not to make the horrors of war fanciful but to render the tale of the contemporary global conflict in timeless, epic terms. What does it take to survive this existential journey with humanity in tact? How can one negotiate the turbulent waters and the whims of unseen gods and foreign powers in the human tragedy of a proxy war? 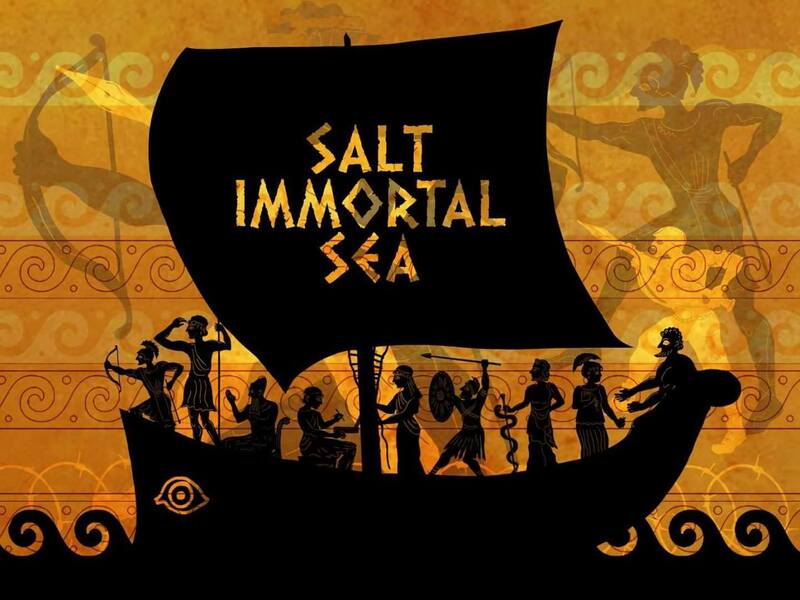 The Salt Immortal Sea will be set up as an installation that invites a primary interactor to make choices while a larger group can watch the story’s progression play out. The primary interface will be an iPad. 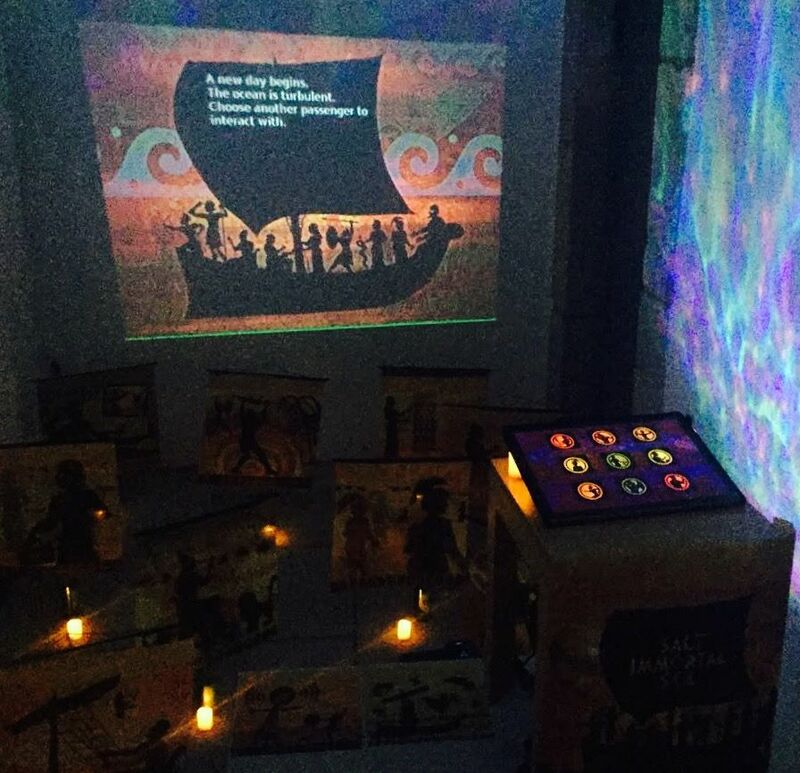 LED lights spread in the room will represent the characters aboard the ship, lighting up when the player interacts with them. The reading experience can take 5-30 minutes, depending on depth of exploration. Platform: Ink + Unity Displays on IPad, (also PC or Mac).